Aronberg Goldgehn will host and sponsor the CBA’s Alliance for Women’s Annual Holiday Party on December 6, 2018. Additional sponsors of the event are: IICLE, LexisNexis, Trunkett & Trunkett, P.C., TSG Reporting and Baumann & Shuldiner. 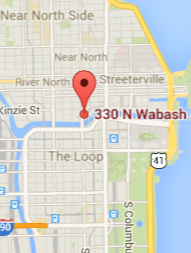 The party will take place from 5:30 p.m. to 7:30 p.m. in Aronberg Goldgehn’s offices at 330 North Wabash Ave, Chicago. Food and drinks will be served. Aronberg Goldgehn member Amy Gibson is on the Executive Committee of the Alliance for Women and is co-chair of the 2018 holiday party planning committee. Amy is Co-Chair of Aronberg Goldgehn’s Commercial Litigation Practice Group. She focuses her practice on complex commercial litigation, including claims involving shareholder disputes, fraud, consumer fraud, breach of contract, and real estate.